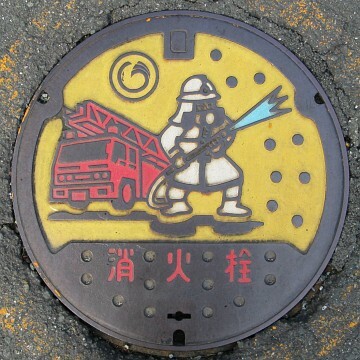 Fire hydrant in Iwata City! For this posting I decided a move to the western part of Shizuoka Prefecture with pictures I have again found on Japanese blogs until I can investigate further on my own! 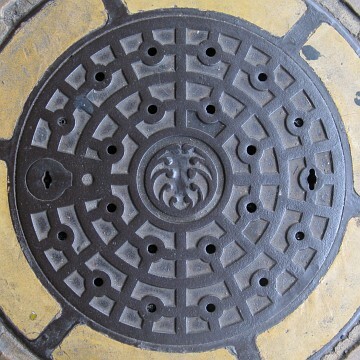 The above manhole cover is over a water access. 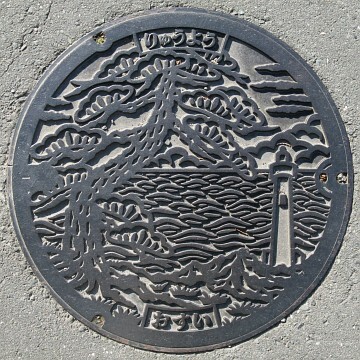 Obviously a commemorative one, it extols the virtues of Ryuuyoo Town inside Iwata City: A Town of Water, sunshine and Greenery! The same as above but with a landscape of shore, marine pine tree and lighthouse! 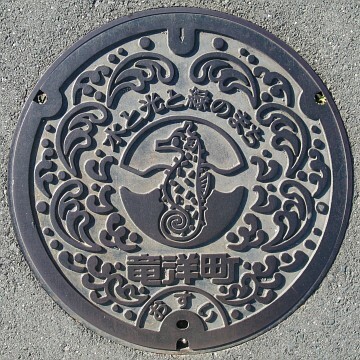 A sewer manhole cover in Iwata, Ryuuyoou Town! 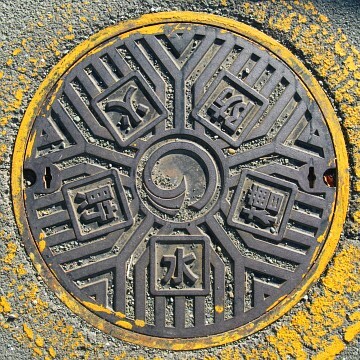 An already old fire hydrant manhole cover installed in Ryuuyoo Town, Iwata City in 1985! 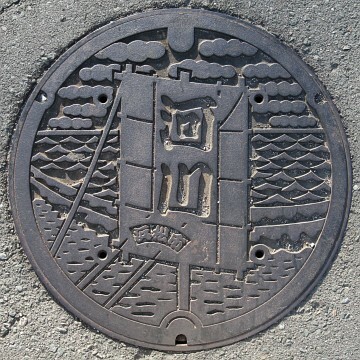 A manhole cover in Hamamatsu City representing Sakekawa River in Hamamatsu City! 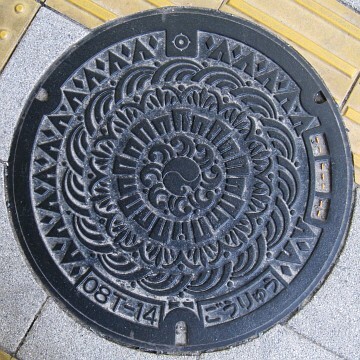 Another splendid manhole cover in Hamamatsu City in Gouryuu Distroct! 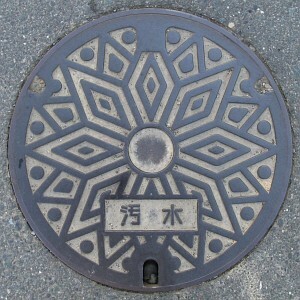 Another simpler manhole cover in Hamamatsu city but note the motif at the center! Tenryuu in Hamamatsu City! 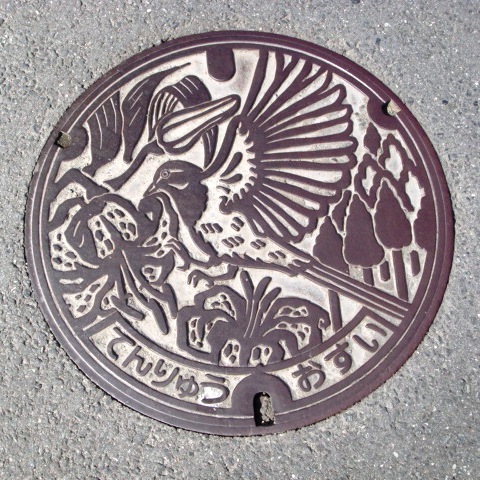 Water access manhole cover with a beautiful bird design! 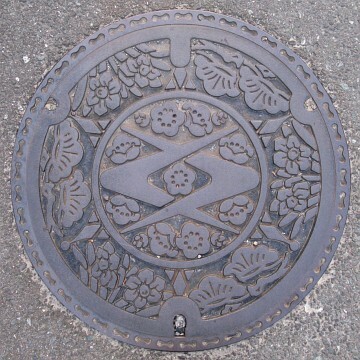 A splendid flowery manhole cover in Toyoka Mura in Hamamatsu City! 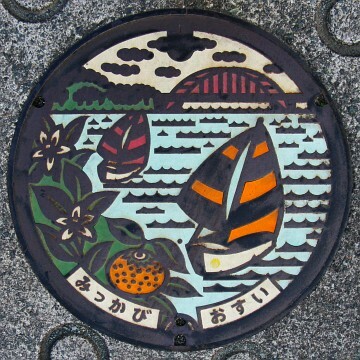 A water access manhole cover in Mikkabi, Hamamatsu City, introducing the joys of sailing! 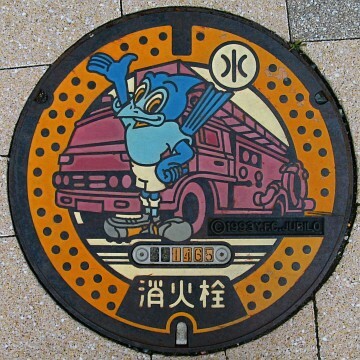 A colorful fire hydrant manhole cover again in Mikkabi! 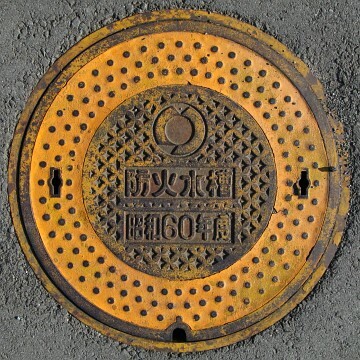 An old manhole cover in Mikkabi over the access to a fire department water tank!